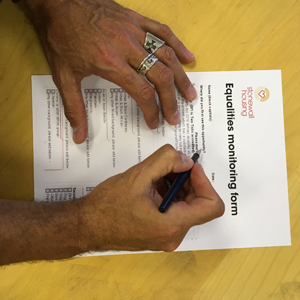 It has long been established practice by housing and service providers to complete anonymised equalities monitoring and publish the results. It is, however, still rare to find either sexual orientation or gender identity included. 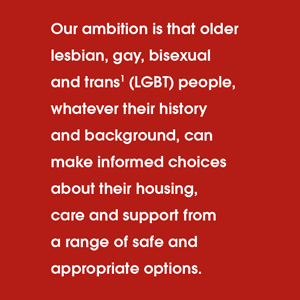 Without this monitoring we continue to have minimal knowledge of the numbers of LGBT people living in existing housing. Any future monitoring must be undertaken with a clear purpose if it is to be trusted and effective. LGBT people are used to constantly making the decision about whether to come out or to publicly identify themselves. They will only do so if it is safe, and that they can see the information they provide will be used to build and improve services, not to put them in a position of risk. 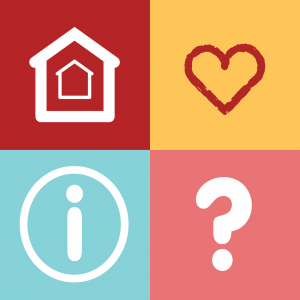 There have been incidences where people have completed monitoring forms, and then found themselves ostracised within a housing scheme when that information has not been treated confidentially. 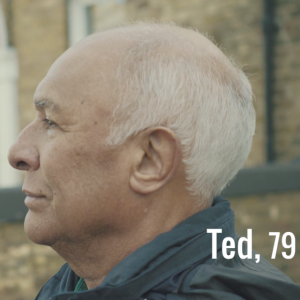 Although rare, these sort of incidents mean older LGBT people remain wary. “It starts with monitoring (sensitively and transparently), and with fostering an inclusive organisational culture. In practice that means ensuring that staff are trained effectively to ensure that every policy, publication and person in their interactions with customers on any level, in any part of the business, are inclusive. That means using language sensitively, listening to people (especially when they express pronoun preferences), and working hard to reflect an understanding and appreciation of the particular vulnerabilities that some LGBT+ people experience. Housing providers need to work to promote their positive attitudes, to be clear about what they want to do with monitoring information”.